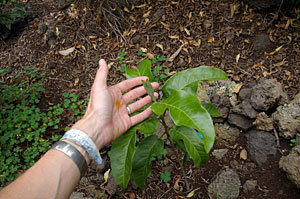 Last month we planted one Melicope knudsenii from Anna Palomino. We decided not to plant the beautiful plants in the big pots. They had some fungus on their leaves and we were worried about introducing something to the forest, especially on that species. In the meantime Diana Crow has been treating it will some fungicide and is seeing good results. 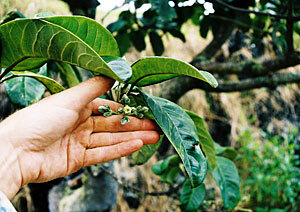 We hope to plant them in mid-April on our next trip to Auwahi. 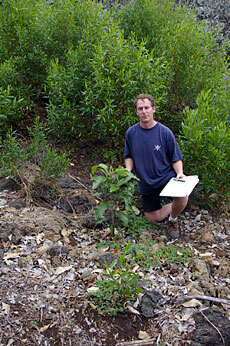 I will take some photos as we plant the alani in April. 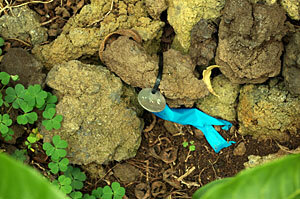 I have attached a few photos of alani previously planted. They look so good after this winter’s nourishing rains. 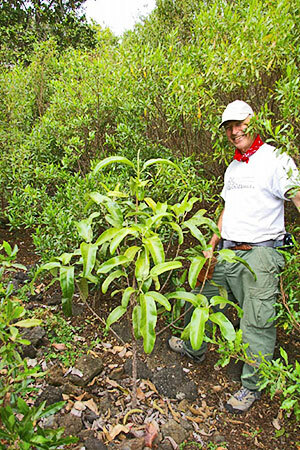 Four seedlings of the rare Alani tree were beplanted by the Maui Restoration Group during an excursion to Auwahi on Saturday. 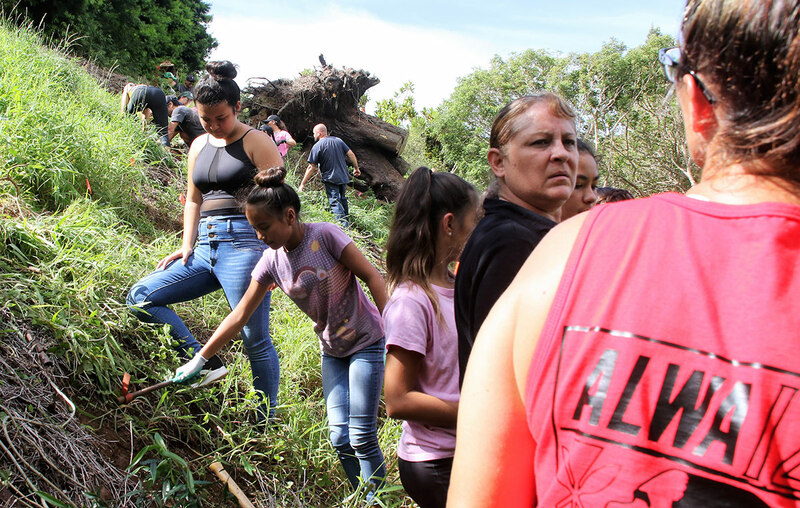 The group, which is rebuilding a native ecosystem on the southern slope of Haleakala, added a tree so rare, only one is currently growing in the wild. 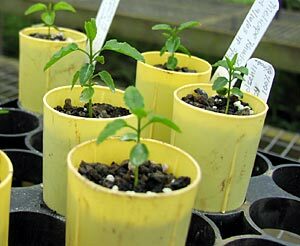 The Alani, or Melicope knudsenii, seedlings were grown by Orchids of Olinda Hoolawa Farms, from seed grown at the D.T.Fleming Arboretum from the only seed producing Alani in existence. 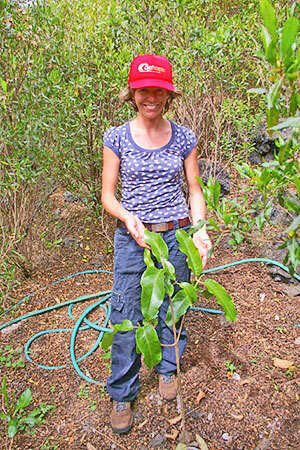 I just wanted to get in touch with you and let you know I was recently down at Anna’s and she showed me more Melicope knudsenii that are coming up and will be ready to out-plant in Auwahi later this summer. That is so thrilling. 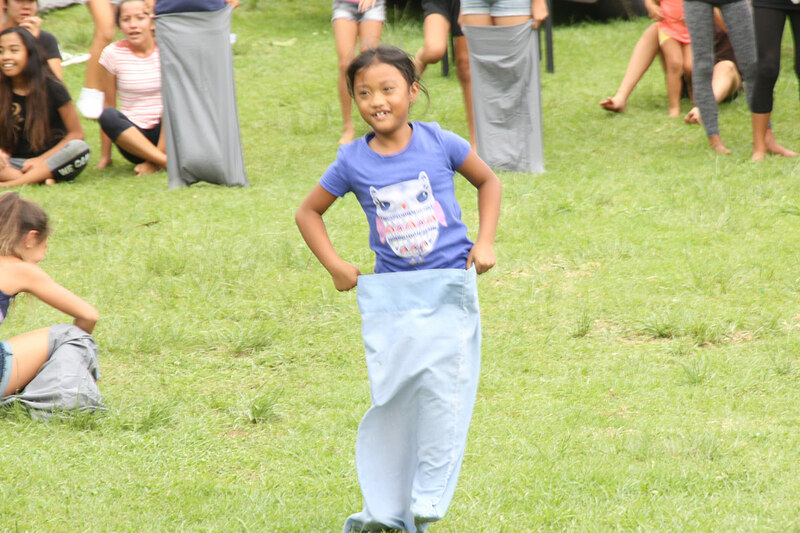 Thank you so much for all your hard work keeping your alani so healthy and producing choke seed. The wild tree is producing more healthy seeds than I have ever seen before. 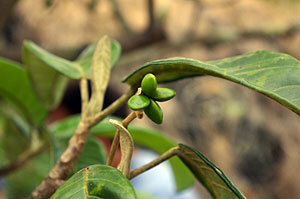 The future for Melicope knudsenii looks brighter. 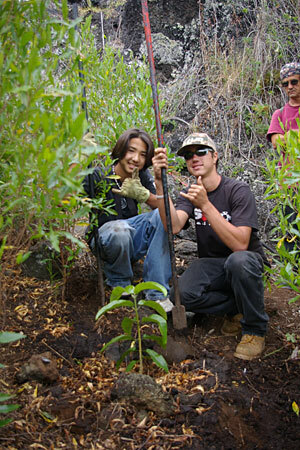 To respond to your previous questions… We are not doing any supplemental maintenance of Auwahi out planted alani keiki. They are thriving in the wild as nature seems to know best. 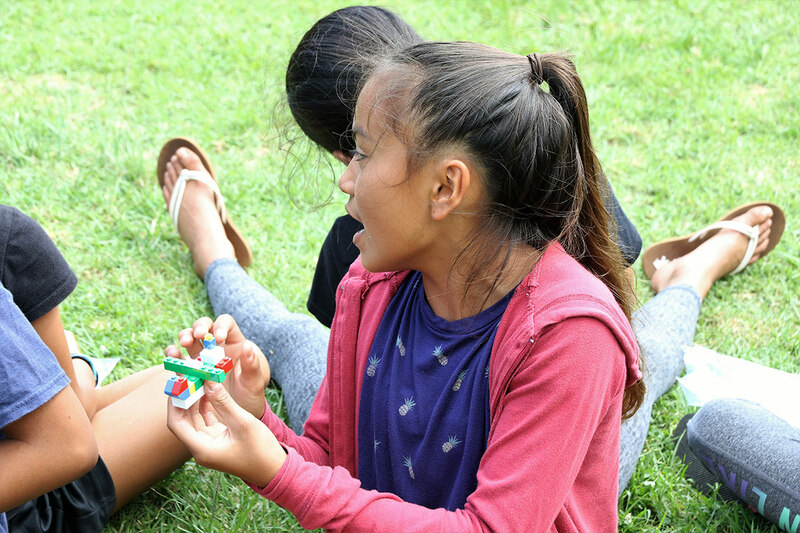 We look forward to increasing the keiki in Auwahi. 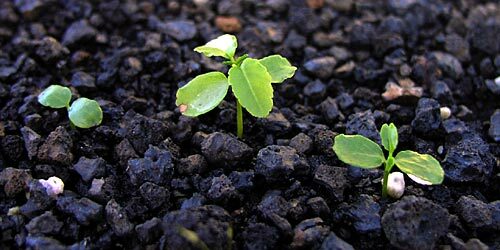 We would be enthusiastic to ouplant any seedlings you can round up. 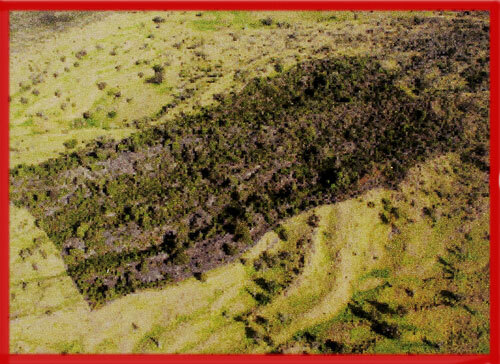 In May 2005, 8 Alani seedlings were outplanted back into the Auwahi Forest, their home of origin, alongside the only living Alani in the wild. 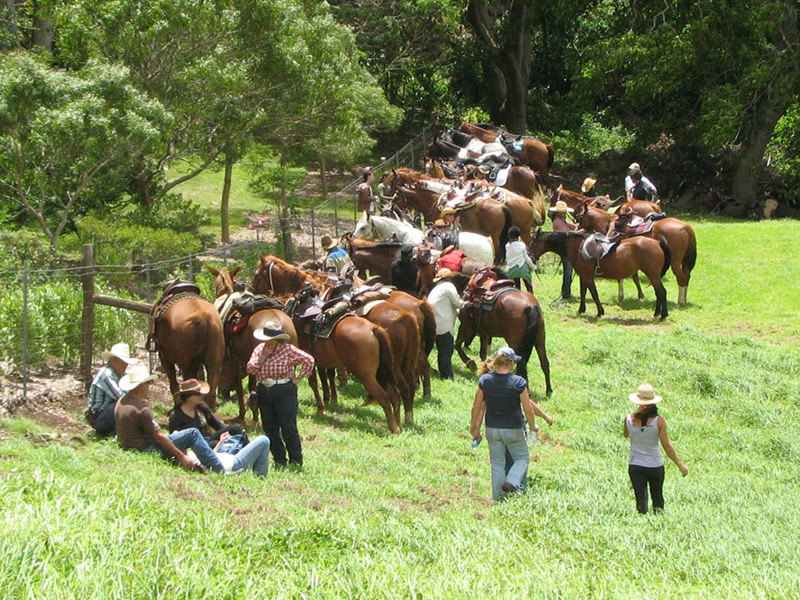 Following are photos of their healthy condition and exciting robust growth. 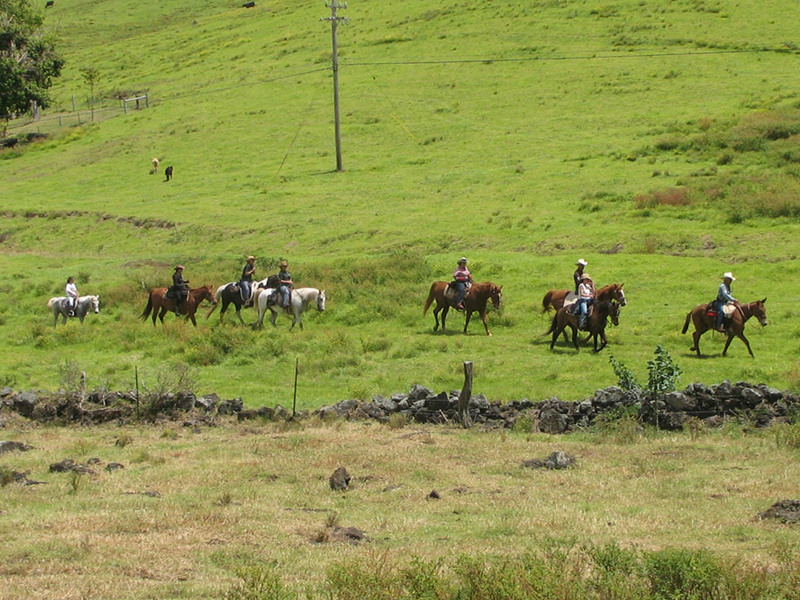 The last Alani living in the wild (in center of fenced grassy area). 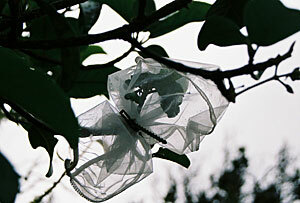 Alani seeds bagged for protection from insect damage. 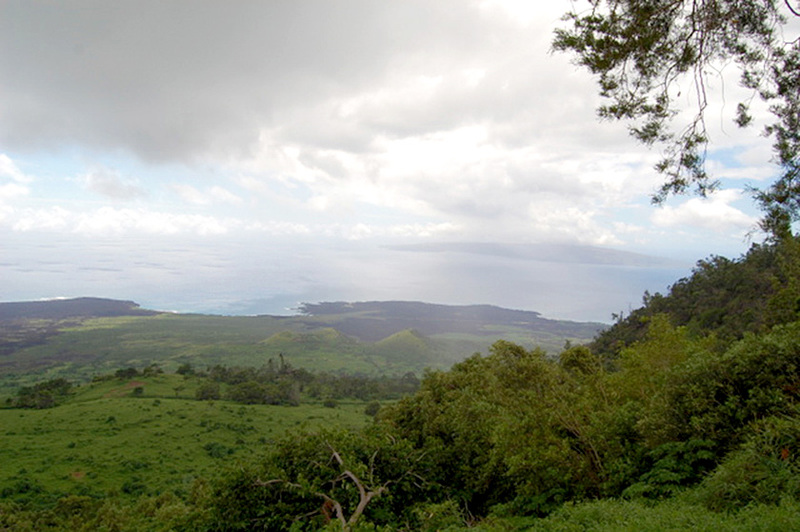 Auwahi Alani in flower. 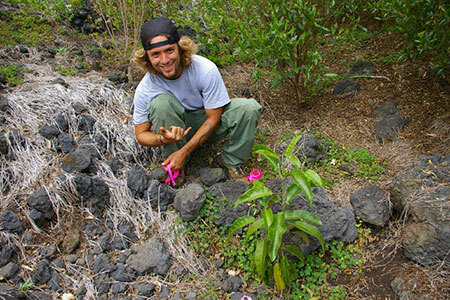 Tag by Auwahi Reforestation to record each Alani seedling’s growth and condition. 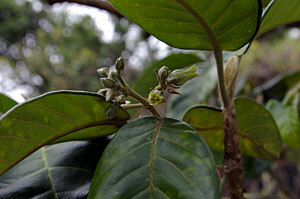 Auwahi Alani in flower. Healthy Alani seed. 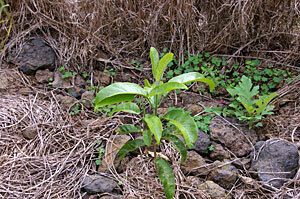 Alani seedling, planted May 2005 (photo Sept 2005). 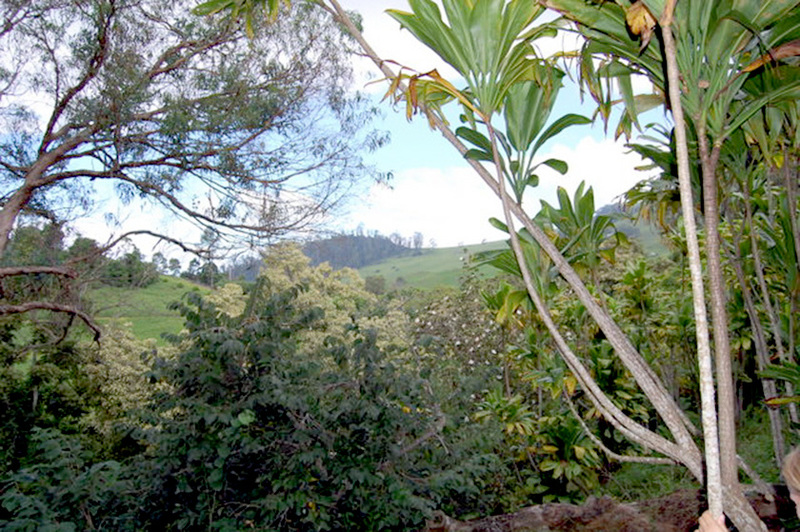 Auwahi Alani with loads of fruit and “lep”(a native moth)damage. 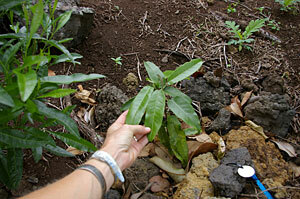 Alani seedling (photo Sept 2005). 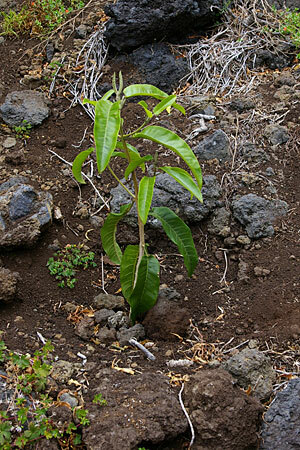 Alani seedling (photo Sept 2005). Jamaica and Luke with Alani Keiki. 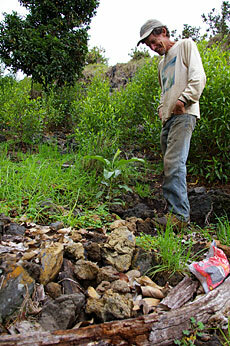 Carl Martin next to seedling -Sept 26, 2005 (4 months after outplanting). 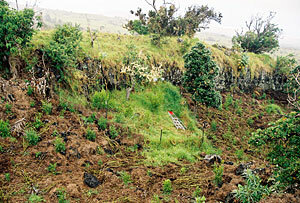 Bob Cabin next to same seedling – Dec 16, 2005 (2 1/2 months after outplanting). I want to appologize for not responding sooner. The Erythrina gall wasp really swept us off our feet for the last two months. 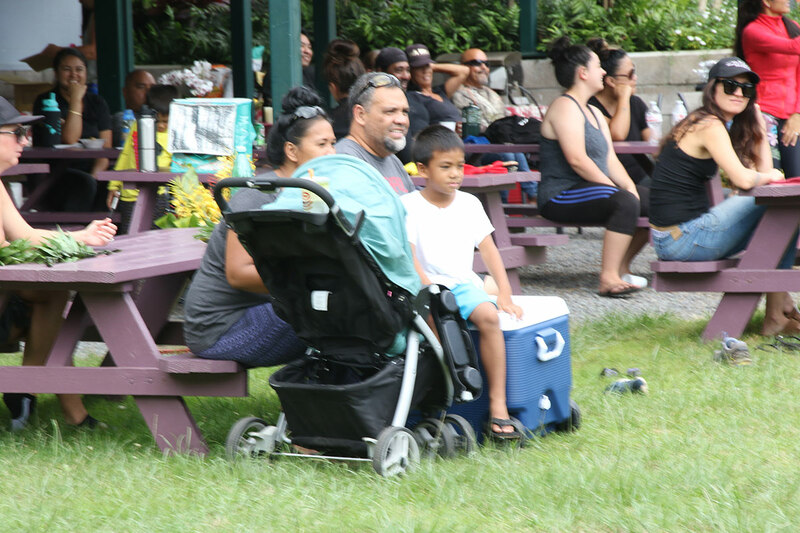 Just wanted to let you know that today we were up in Auwahi doing work and checking up on the alani. They look awesome. They are all growing strong. One is especially sturdy and already about knee-high and full of new growth. The other seven all have healthy new growth and are stretching for the sky. What a heaven sent to have all that positivity. We are not actually growing any plants at the moment. Anna Palamino and Jonathan Keyser are growing plants for us. I saw the ohe at Anna’s place last week. They are fine specimen. Is the parent tree originally from Auwahi? I would love to plant some more of those trees in Auwahi II. 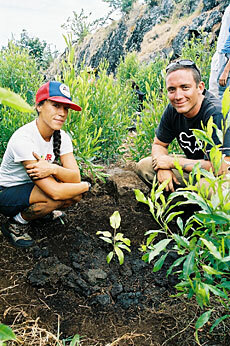 We would encourage any additional alani seedlings ending up back in Auwahi. We totally trust any of your growers, they did outstanding work with this last round that were planted in May. As you requested, we now have seeds of the Puu Kali Mao Hau Hele…About 3 cups.They are pure [no cross pollination from Mao Hau Hele from Waikapu] from plants raised from Puu Kali seed 450 Alani Melicope knusenii were harvested in August.They are also available if you would like. 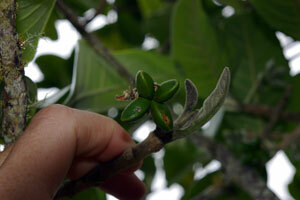 Also available,Ohe- Tetraplasandra hawaiiensis seed. I understood Anna was doing your propagation.I could deliver requested seeds to her if that is still true or… just mail them to you? Its been a good summer with periodic rains…I imagine the new Alani florishing along with everything else. 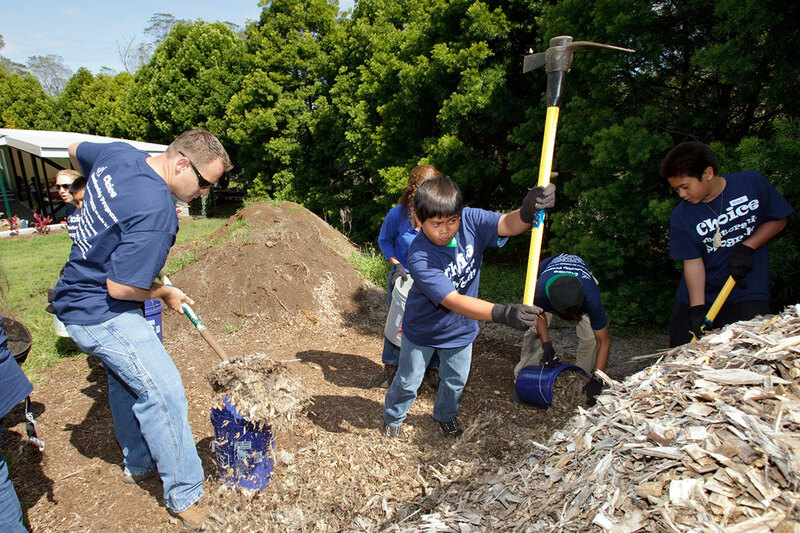 Thank you so much for including us on your list of seed recipients last year. 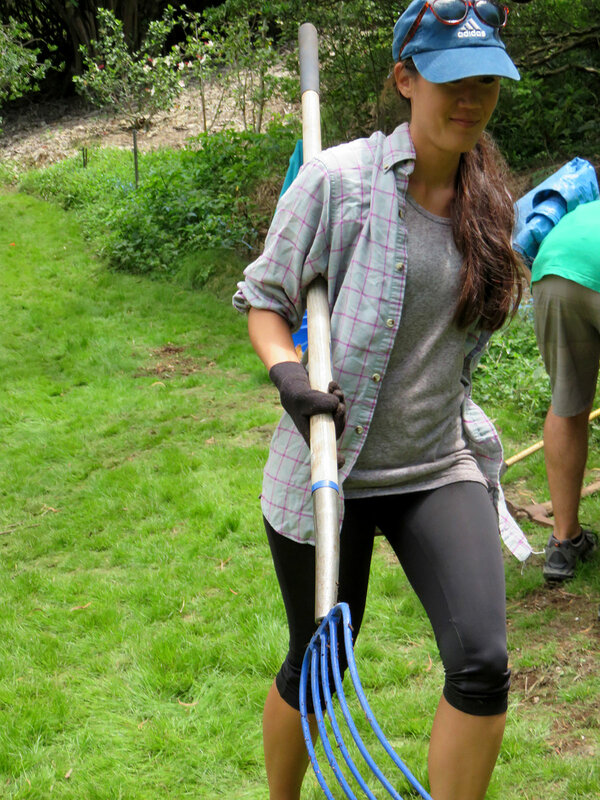 It was exciting to get to work with the alani, especially with hopes of getting to out-plant some seedlings near the wild individual. Here is the long over-due report with a few photos. I would be happy to send some more photos to you on CD if you would lilke. I feel like we learned a lot with the seeds from last year. 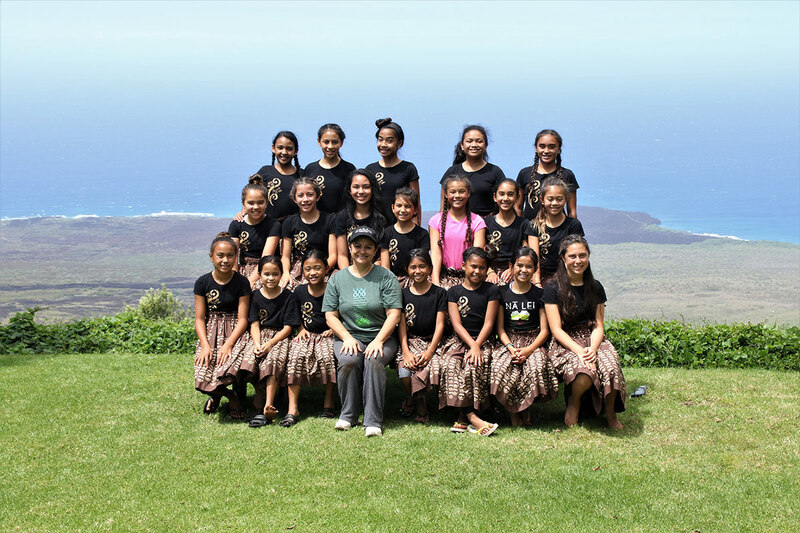 After some upgrades at the greenhouse at Ulupalakua and with the lessons from last year, we would be very enthusiastic to try our best to propagate another batch of seeds. We realize that your harvest was smaller this year. Please let us know if we can help. Thanks for all your hard work and dedication to seeing this species through the hard times.